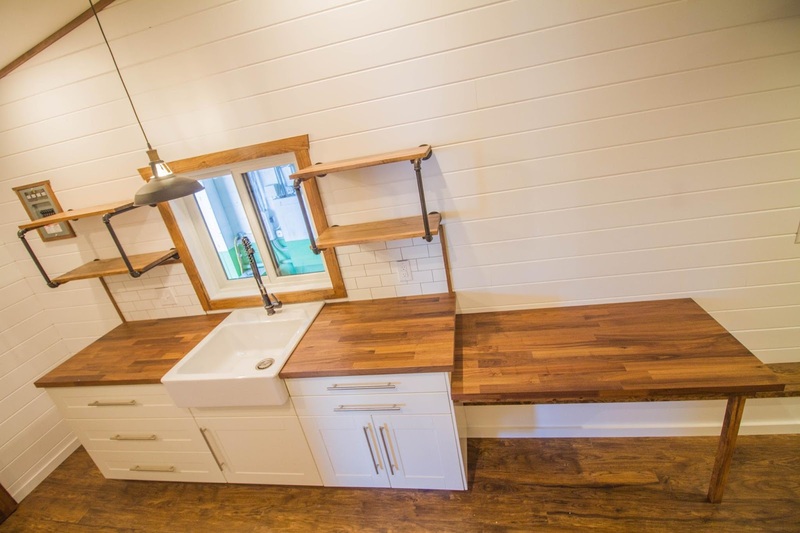 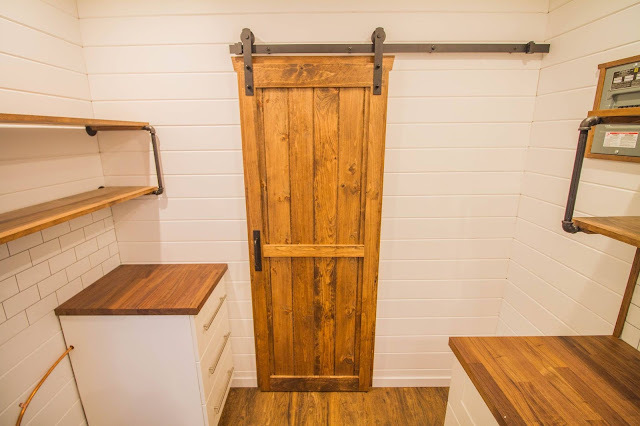 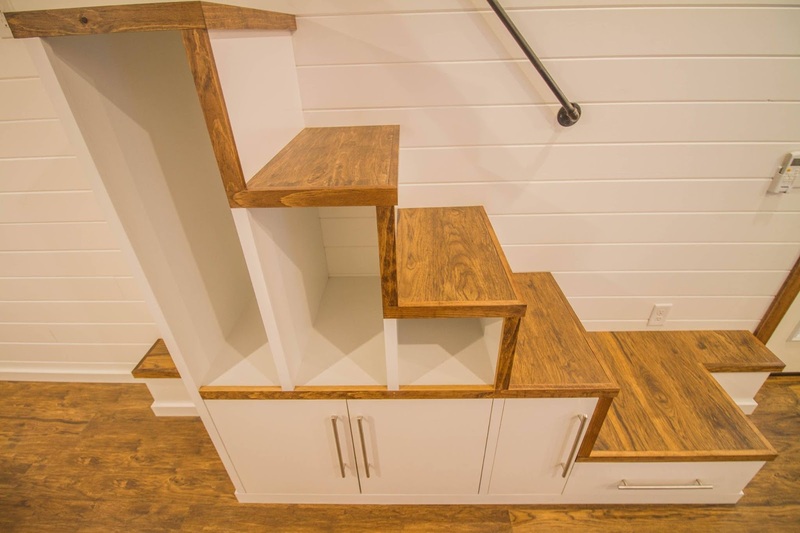 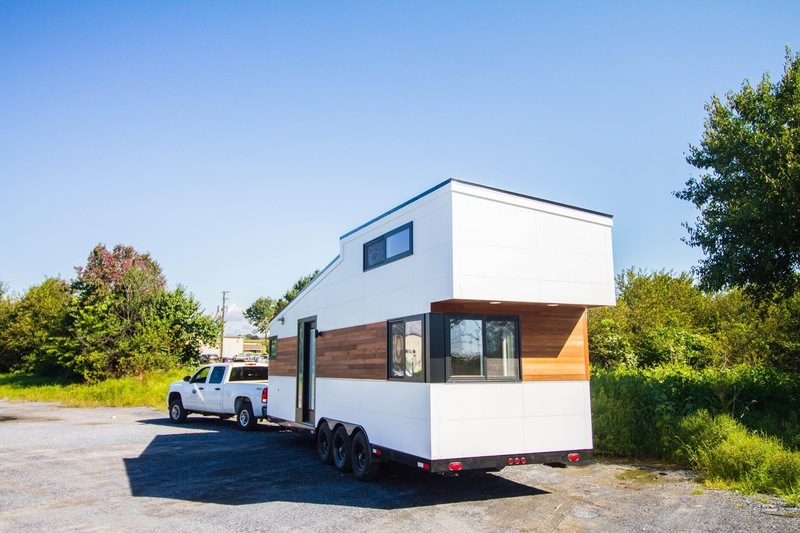 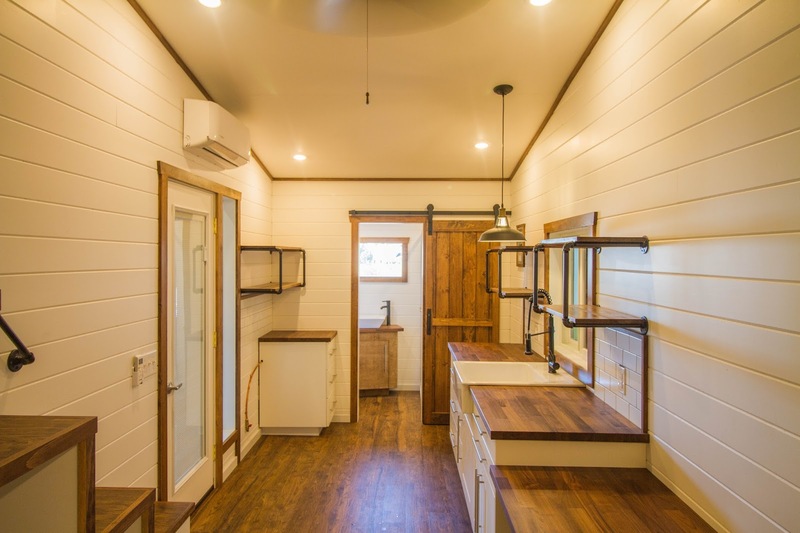 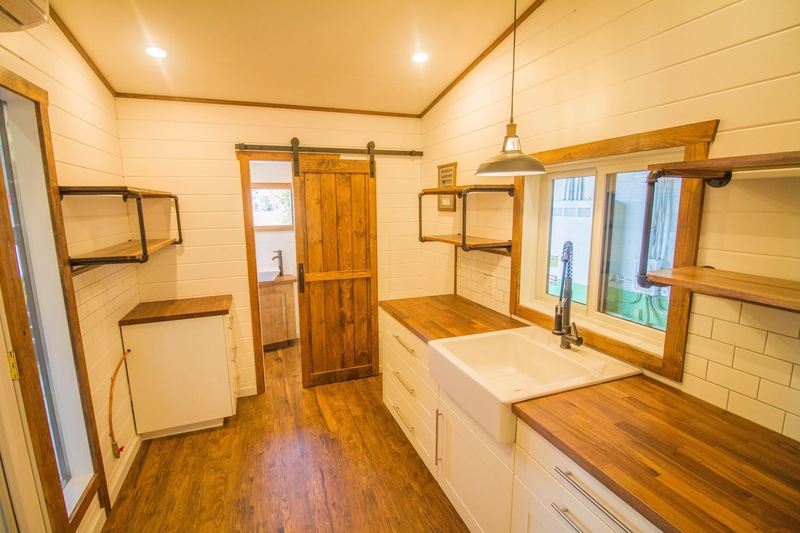 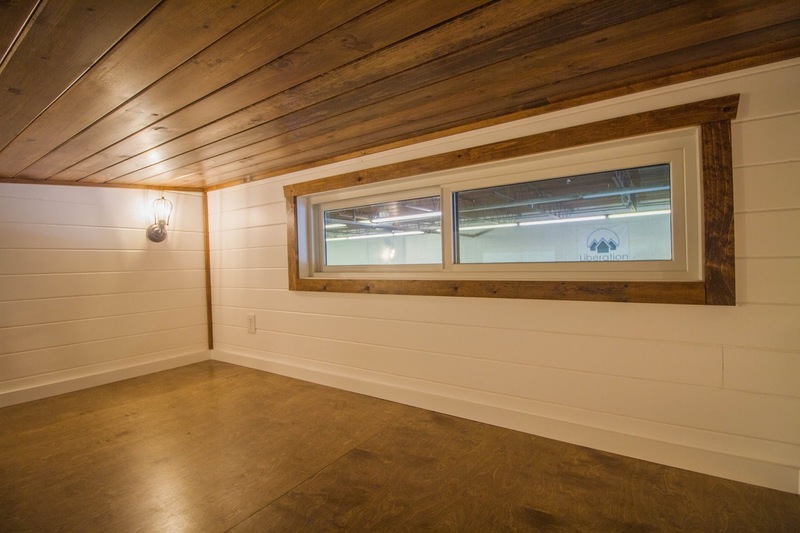 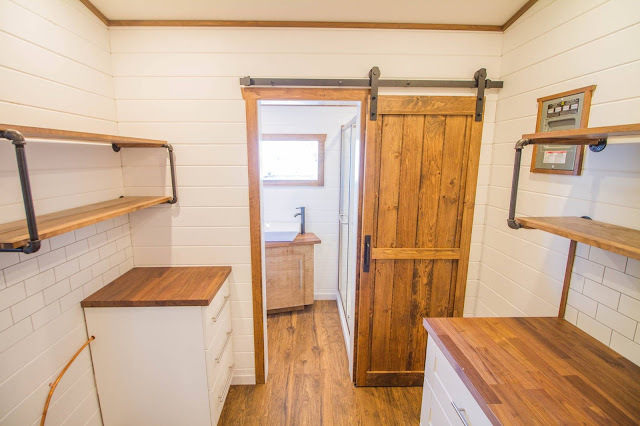 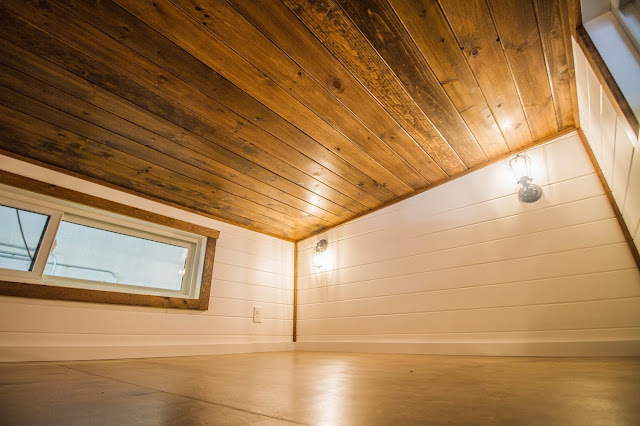 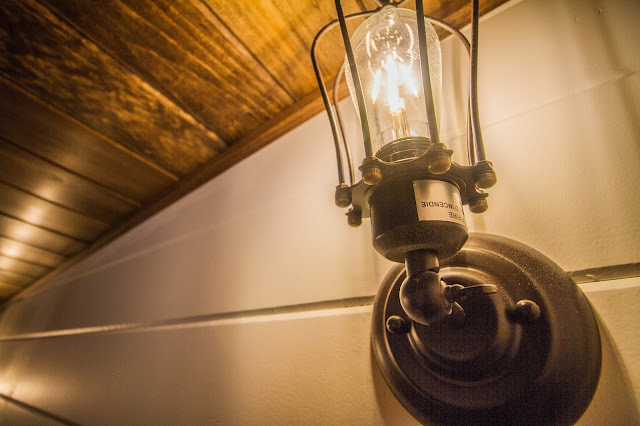 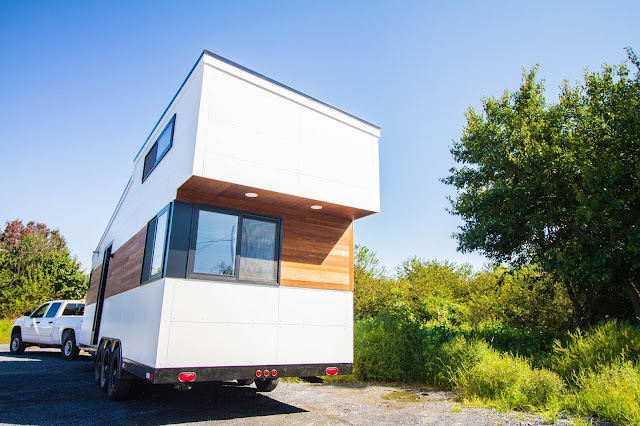 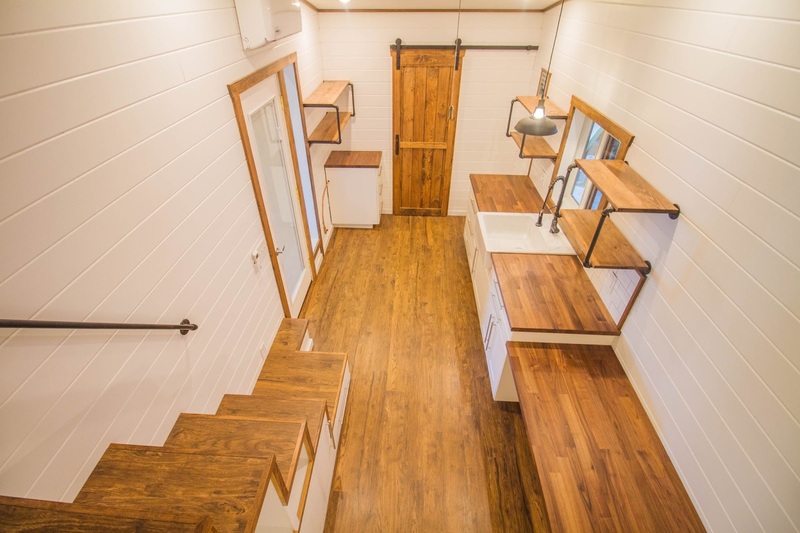 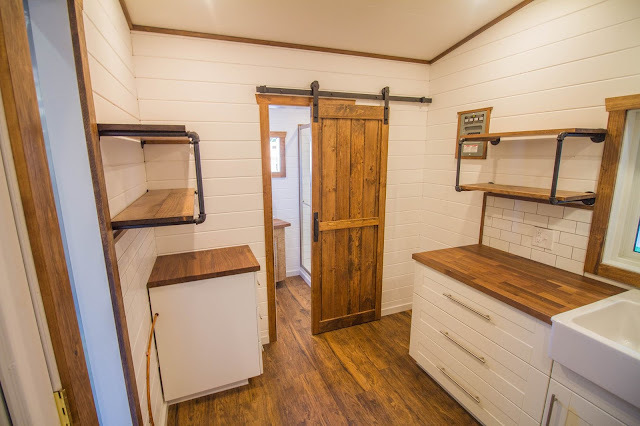 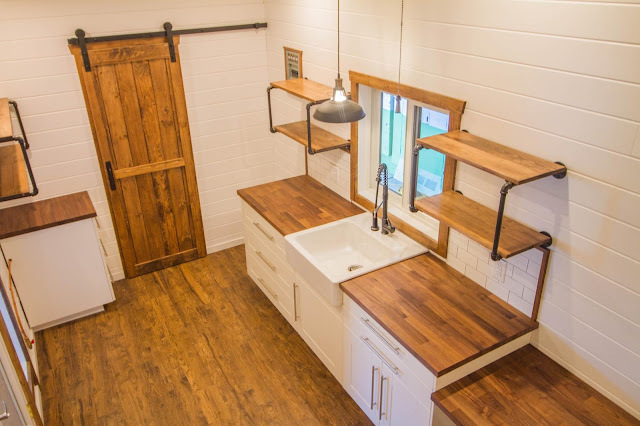 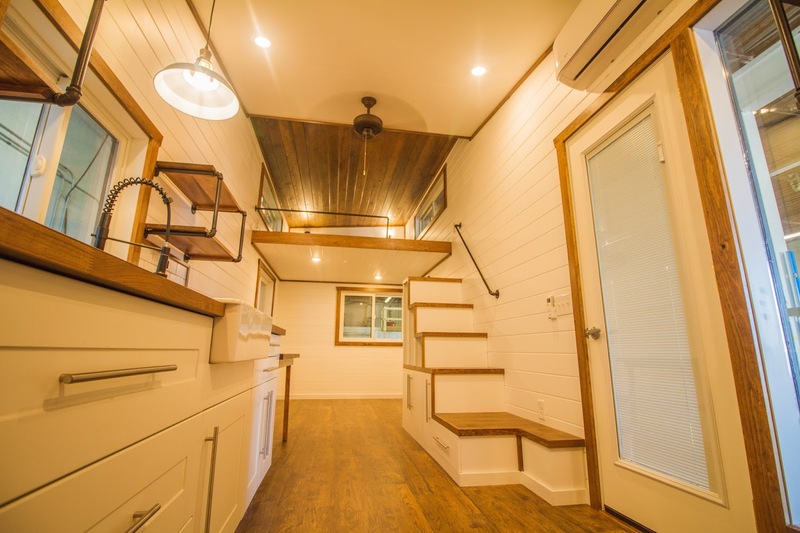 Liberation Tiny Homes has designed a fresh, new take on the modern/rustic look with their newest model of the Modern Farmhouse. 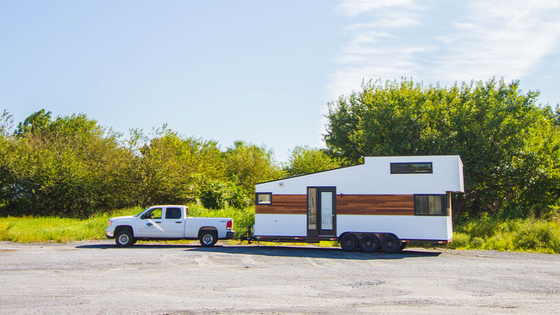 The home is built onto a 28' triple 7K axle trailer. 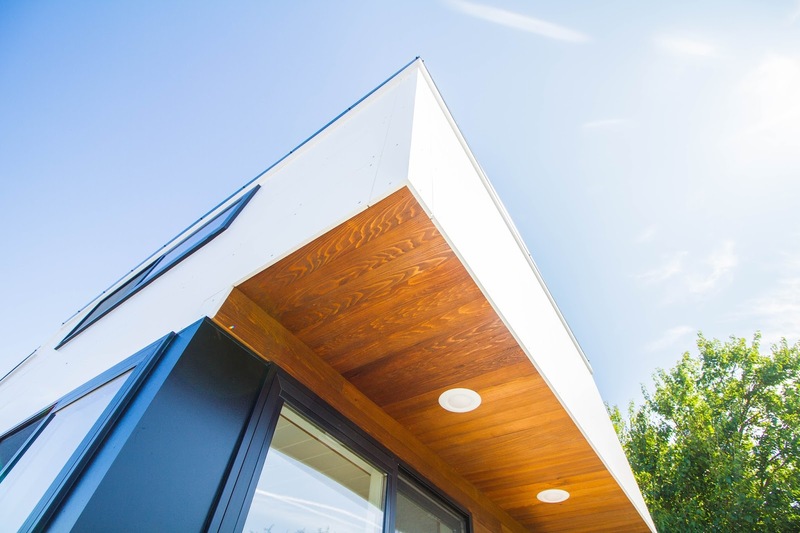 Its exterior features custom AZEK wall cladding with clear cedar accents and a gauge Galvalume roof. 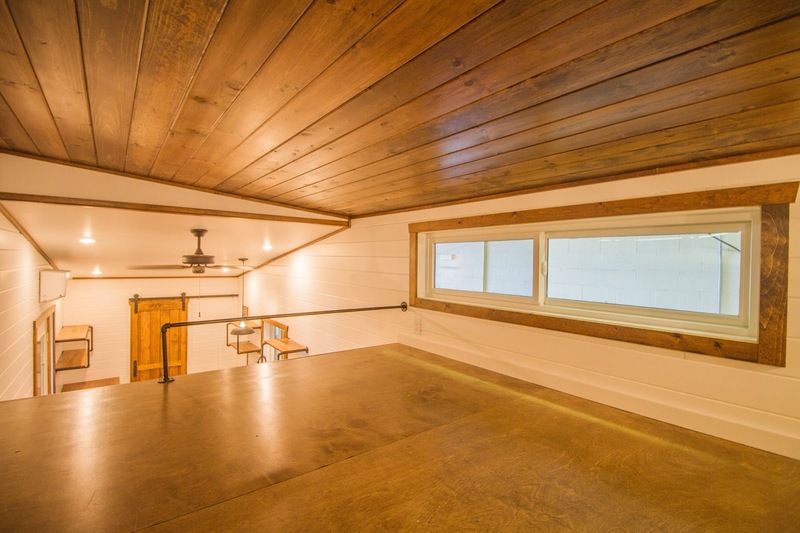 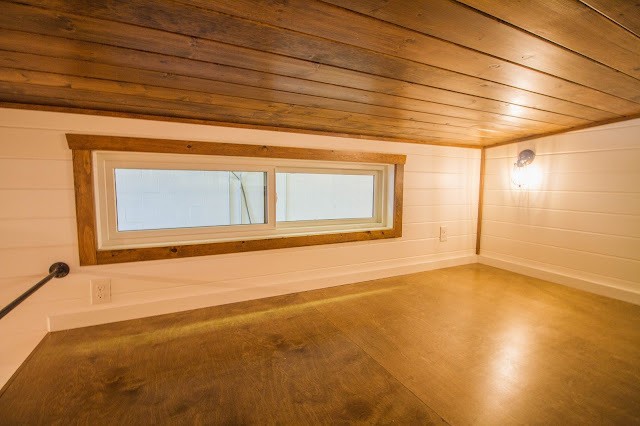 Additionally, there's Anderson 100 series windows, all-around non-toxic Roxul insulation, and a glass entry door with sidelight and built in blinds. 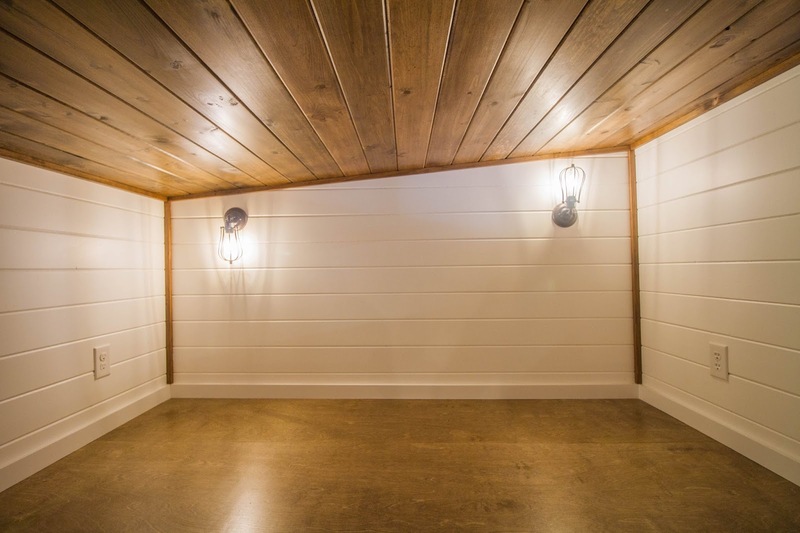 Inside the home's cozy, rustic interior are pine tongue and groove walls and luxury vinyl plank flooring. 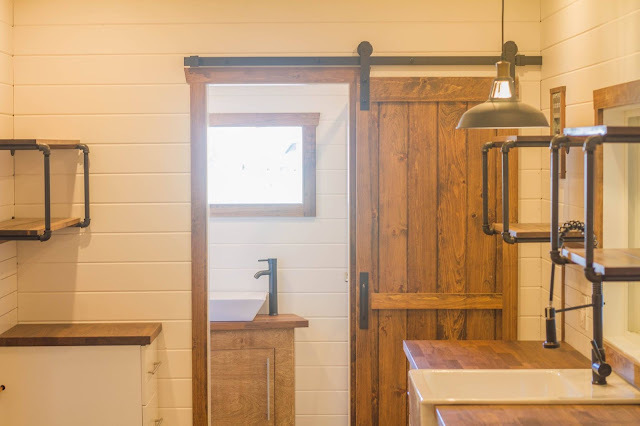 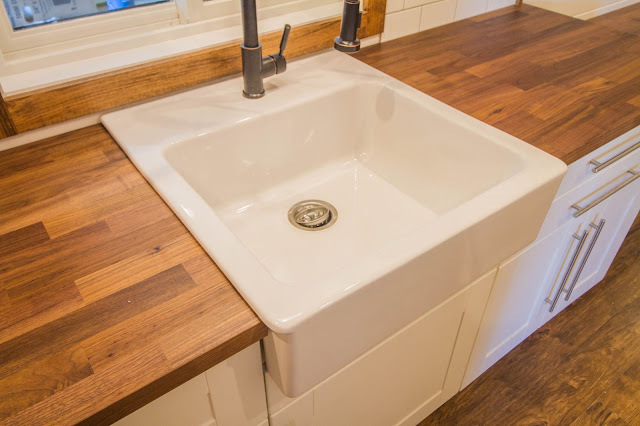 The kitchen comes outfitted with IKEA cabinets, butcherblock countertops, a 24" farmhouse sink, a subway tile backsplash, and custom pipe and pine shelving. 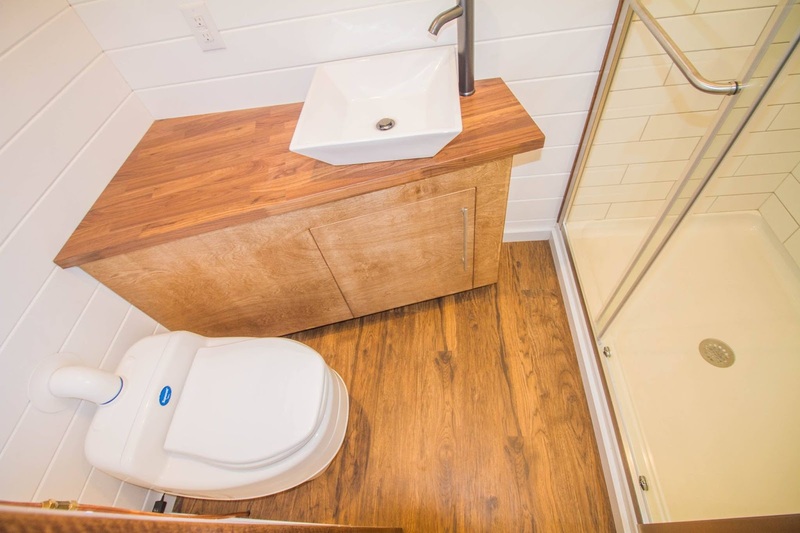 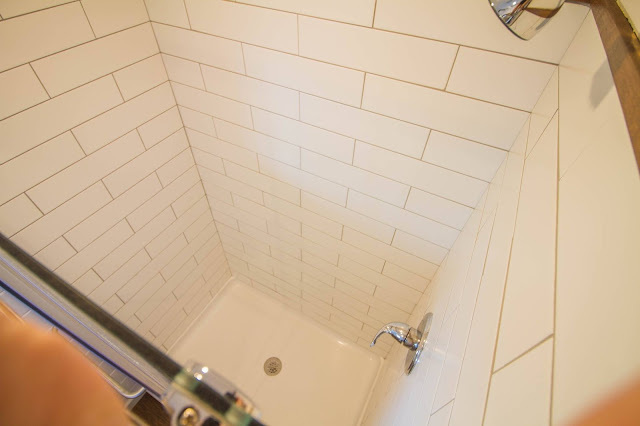 In the bathroom, you'll find a composting toilet, subway tile shower with a glass door, a tapered vanity cabinet, and a vessel sink. 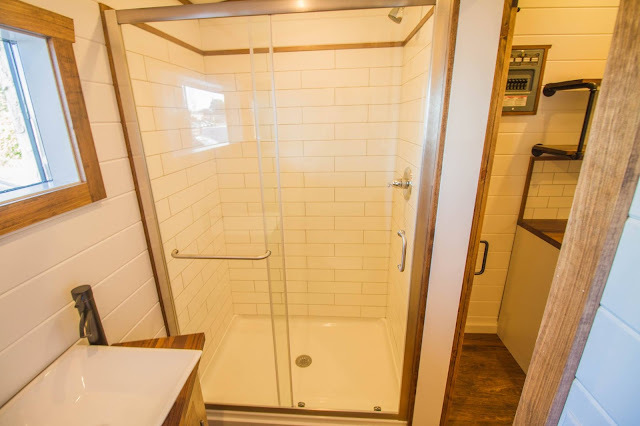 Also included in the home is an on-demand water heater, and a 9000 BTU mini split. The price for the home as shown is $62,000. For more questions and/or inquiries, contact Liberation Tiny Homes here! 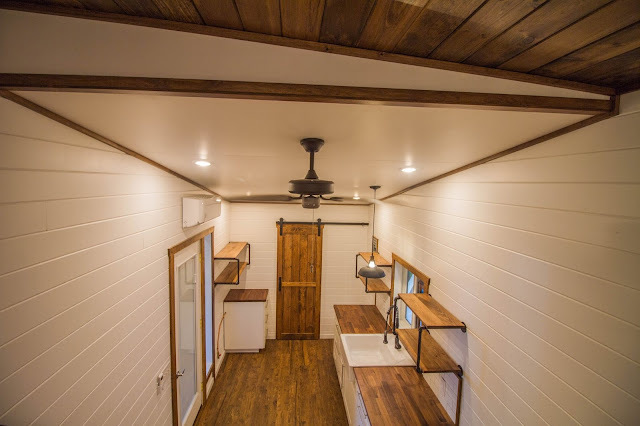 Also, be sure to check out these other models from Liberation here!